Educational Qualifications M.B. B. S, M.D. (Anaesthesiology) / D.A., M.S. M.D./M.S. (Fruit and gynecology) /D.G.O./M.B.S. M.D. (Paediatrics) / DNB / D.Ch. MD Tuberculosis / MD (T. Respiratory Disease) / M.D. Medicine with T.D.D.D.T.D. or D.T. CD / MD (TB & Chest Disease, (M.D. Trauma and Emergency Research 2 M.S. Endocrinology 3 D.M. Endocrinology, M.D. (Medicine), M.D. (Pediatrics). PICU 6 M.D. (Paediatrics) /DNB/D.Ch. MBBS or M.Sc. (Biochemistry / Medical Biochemistry). 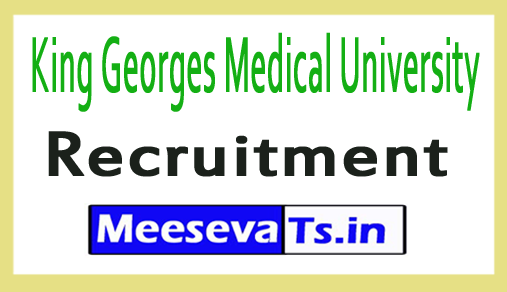 "Recruitment of KGMU 2018 for high-level residents and other publications."